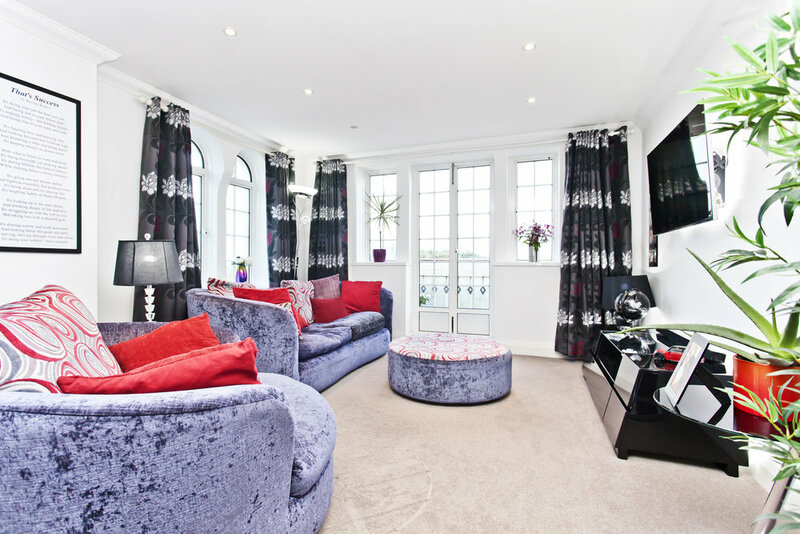 Immaculate Apartment with Private Balcony and Sea Views. 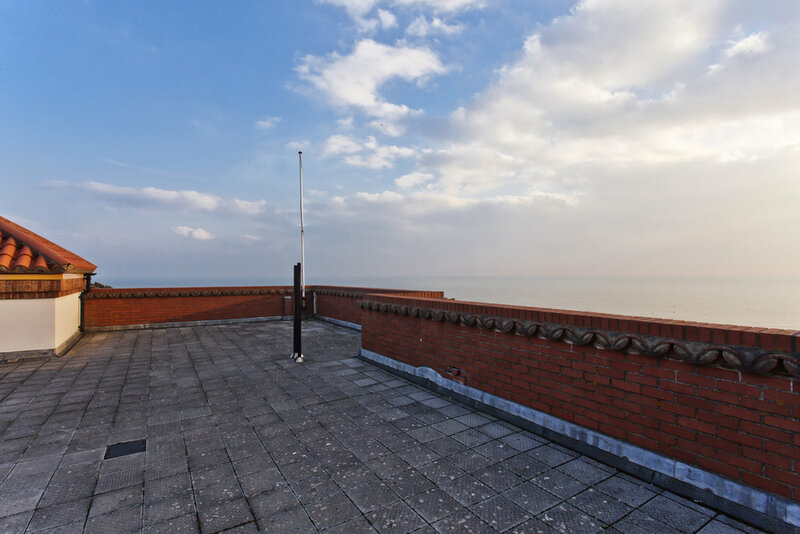 This immaculately presented two bedroom apartment sits on the top floor of this iconic spanish inspired building, offering beautiful views across the coastline as well as having a sun terrace. This property has a separate kitchen, lounge/diner and two generous sized bedrooms as well as an allocated parking space. Offered with no forward chain. 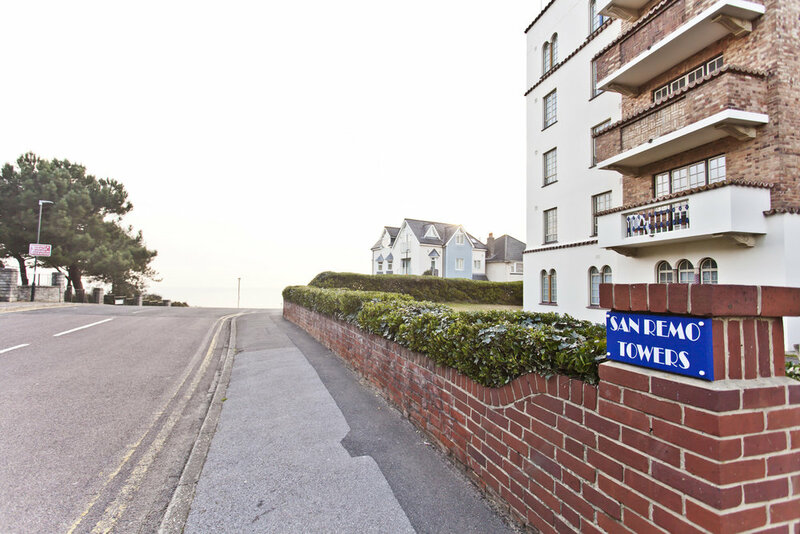 San Remo Towers is one of the most iconic buildings along our beautiful coastline. This Art-Deco grade II listed development was built in circa 1938 and is ideally located for a short walk to the award winning beaches and stunning coastline. This popular building enjoys lifts to all floors and a 24 hour concierge service, residents lounge / snooker room, laundry room and a large roof terrace where you can sit directly above your property, still enjoying WI-Fi connection and taking in the breathtaking panoramic views across to the Isle of Purbeck and the Isle of Wight. There is a central boiler that provides all the hot water and central heating for the property and is included as part of the service charge. 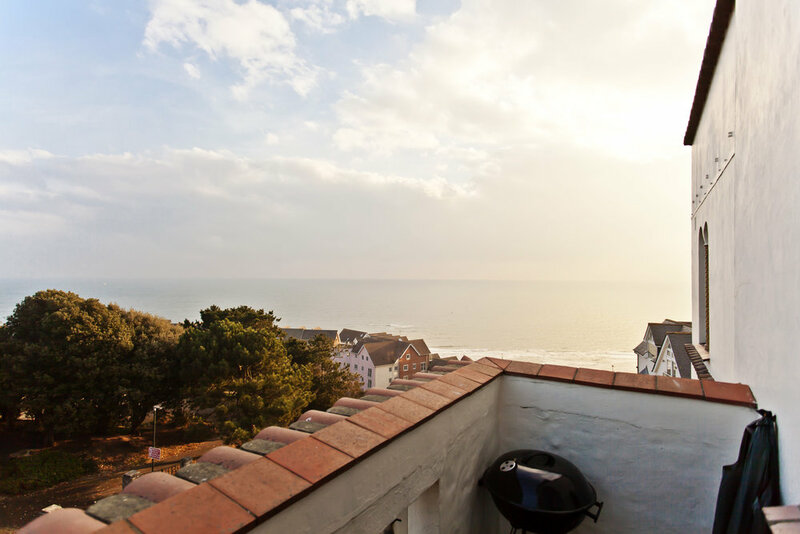 The apartment itself is in arguably the best position situated on the top floor (4th) covering the East corner which delivers sea views from every aspect. The Lounge / Diner offers a great space and has double french doors that open out to your own private balcony, its here you can enjoy one of the many stunning sea views that this property has to offer. The balcony has plenty of space for an alfresco bistro set to sit and enjoy a glass of wine and take in the surroundings. The room is modern in decor with ceiling spotlights and plenty of Art Deco style windows ensuring maximum light and is set up ideally with cosy sofas one end and a dining area at the other. Adjacent to the living area is the separate kitchen, again very well proportioned delivering base & eye-line units around two sides and providing lots of worktop space. There are two attractive Art Deco style windows so you can enjoy a great view and gives the kitchen a bright and spacious feel to it. The kitchen consists of a modern oven with extractor over and induction hob, integrated dishwasher and fridge/freezer plus an additional cupboard for storing all the secret ingredients. Ceramic tiled flooring, part tiled walls and ceiling set with modern spotlighting. Both bedrooms are located at the far end of the property and run adjacent to each other, they are generous doubles with the Master being an especially well sized room. once again a triple windows captures the views across the sea, a sight that will be a pleasure to wake up to every morning. The Master bedroom also benefits from built in wardrobes. Both bedrooms are served by a good sized modern bathroom compromising of panel enclosed bath with wall mounted shower head attachment, vanity wash hand basin, heated towel radiator and W.C. Location is always key to any new home and this property does not disappoint, a short distance to the golden coast line and Pier offers fabulous walks, a surf reef and sea front restaurants is just the start of it. You are just minutes away from Boscombe overcliff gardens and an abundance of further great restaurants and bistros to visit which include Urban Beach, Urban Reef ,Koh Thai, and a selection of trendy drinking places.